This is Memorial Day weekend in the US. A time when we remember and honor the men and women who have fought and died for our country. This is the second of three posts I have planned for this weekend, each of which will include a D-Day article written by war correspondent Ernie Pyle. Ernie was there and if you read his words you’ll find yourself transported there as well. Ernie’s words give me chills and I try to read them every year to honor those that he was writing about. My uncle, Herman Rice, was one of the paratroopers that was dropped behind the German forces the day prior to D-Day to support the invasion and I can’t think of any better way to honor his memory. As we remember those that have fought for our country I believe that it’s important to also spend some time thinking about the importance of working just as hard to avoid wars as we do to fight wars. I love my country but some of our leaders in the past have chosen to get us involved in wars that we had no business being involved in. Think Vietnam, Iraq, etc. etc. etc. Let’s use Memorial Day to commit ourselves to not making such mistakes in the future! Soldiers carry strange things ashore with them. In every invasion you’ll find at least one soldier hitting the beach at H-hour with a banjo slung over his shoulder. The most ironic piece of equipment marking our beach – this beach of first despair, then victory – is a tennis racket that some soldier had brought along. It lies lonesomely on the sand, clamped in its rack, not a string broken. NORMANDY BEACHHEAD, June 16, 1944 – I took a walk along the historic coast of Normandy in the country of France. It was a lovely day for strolling along the seashore. Men were sleeping on the sand, some of them sleeping forever. Men were floating in the water, but they didn’t know they were in the water, for they were dead. The water was full of squishy little jellyfish about the size of your hand. Millions of them. In the center each of them had a green design exactly like a four-leaf clover. The good-luck emblem. Sure. Hell yes. I walked for a mile and a half along the water’s edge of our many-miled invasion beach. You wanted to walk slowly, for the detail on that beach was infinite. The wreckage was vast and startling. The awful waste and destruction of war, even aside from the loss of human life, has always been one of its outstanding features to those who are in it. Anything and everything is expendable. And we did expend on our beachhead in Normandy during those first few hours. For a mile out from the beach there were scores of tanks and trucks and boats that you could no longer see, for they were at the bottom of the water – swamped by overloading, or hit by shells, or sunk by mines. Most of their crews were lost. You could see trucks tipped half over and swamped. You could see partly sunken barges, and the angled-up corners of jeeps, and small landing craft half submerged. And at low tide you could still see those vicious six-pronged iron snares that helped snag and wreck them. On the beach itself, high and dry, were all kinds of wrecked vehicles. There were tanks that had only just made the beach before being knocked out. There were jeeps that had been burned to a dull gray. There were big derricks on caterpillar treads that didn’t quite make it. There were half-tracks carrying office equipment that had been made into a shambles by a single shell hit, their interiors still holding their useless equipage of smashed typewriters, telephones, office files. There were LCT’s turned completely upside down, and lying on their backs, and how they got that way I don’t know. There were boats stacked on top of each other, their sides caved in, their suspension doors knocked off. In this shoreline museum of carnage there were abandoned rolls of barbed wire and smashed bulldozers and big stacks of thrown-away lifebelts and piles of shells still waiting to be moved. In the water floated empty life rafts and soldiers’ packs and ration boxes, and mysterious oranges. On the beach lay snarled rolls of telephone wire and big rolls of steel matting and stacks of broken, rusting rifles. On the beach lay, expended, sufficient men and mechanism for a small war. They were gone forever now. And yet we could afford it. We could afford it because we were on, we had our toehold, and behind us there were such enormous replacements for this wreckage on the beach that you could hardly conceive of their sum total. Men and equipment were flowing from England in such a gigantic stream that it made the waste on the beachhead seem like nothing at all, really nothing at all. A few hundred yards back on the beach is a high bluff. Up there we had a tent hospital, and a barbed-wire enclosure for prisoners of war. From up there you could see far up and down the beach, in a spectacular crow’s-nest view, and far out to sea. And standing out there on the water beyond all this wreckage was the greatest armada man has ever seen. You simply could not believe the gigantic collection of ships that lay out there waiting to unload. Looking from the bluff, it lay thick and clear to the far horizon of the sea and beyond, and it spread out to the sides and was miles wide. Its utter enormity would move the hardest man. As I stood up there I noticed a group of freshly taken German prisoners standing nearby. They had not yet been put in the prison cage. They were just standing there, a couple of doughboys leisurely guarding them with tommy guns. The prisoners too were looking out to sea – the same bit of sea that for months and years had been so safely empty before their gaze. Now they stood staring almost as if in a trance. They didn’t say a word to each other. They didn’t need to. The expression on their faces was something forever unforgettable. In it was the final horrified acceptance of their doom. If only all Germans could have had the rich experience of standing on the bluff and looking out across the water and seeing what their compatriots saw. Since this is a music blog I feel compelled to include music in most of my posts. As you contemplate my call to avoid wars in the future, listen to this great Joan Baez performance of a Bob Dylan song that highlights the ignorance of the commonly held view in the US that “God is on our side”…….. This is Memorial Day weekend in the US. A time when we remember and honor the men and women who have fought and died for our country. I have three posts planned for this weekend each of which will include one of the D-Day articles written by war correspondent Ernie Pyle. Ernie was there and if you read his words you find yourself there as well. NORMANDY BEACHHEAD, June 12, 1944 – Due to a last-minute alteration in the arrangements, I didn’t arrive on the beachhead until the morning after D-day, after our first wave of assault troops had hit the shore. By the time we got here the beaches had been taken and the fighting had moved a couple of miles inland. All that remained on the beach was some sniping and artillery fire, and the occasional startling blast of a mine geysering brown sand into the air. That plus a gigantic and pitiful litter of wreckage along miles of shoreline. Submerged tanks and overturned boats and burned trucks and shell-shattered jeeps and sad little personal belongings were strewn all over these bitter sands. That plus the bodies of soldiers lying in rows covered with blankets, the toes of their shoes sticking up in a line as though on drill. And other bodies, uncollected, still sprawling grotesquely in the sand or half hidden by the high grass beyond the beach. Ashore, facing us, were more enemy troops than we had in our assault waves. The advantages were all theirs, the disadvantages all ours. The Germans were dug into positions that they had been working on for months, although these were not yet all complete. A one-hundred-foot bluff a couple of hundred yards back from the beach had great concrete gun emplacements built right into the hilltop. These opened to the sides instead of to the front, thus making it very hard for naval fire from the sea to reach them. They could shoot parallel with the beach and cover every foot of it for miles with artillery fire. Then they had hidden machine-gun nests on the forward slopes, with crossfire taking in every inch of the beach. These nests were connected by networks of trenches, so that the German gunners could move about without exposing themselves. Throughout the length of the beach, running zigzag a couple of hundred yards back from the shoreline, was an immense V-shaped ditch fifteen feet deep. Nothing could cross it, not even men on foot, until fills had been made. And in other places at the far end of the beach, where the ground is flatter, they had great concrete walls. These were blasted by our naval gunfire or by explosives set by hand after we got ashore. Our only exits from the beach were several swales or valleys, each about one hundred yards wide. The Germans made the most of these funnel-like traps, sowing them with buried mines. They contained, also, barbed-wire entanglements with mines attached, hidden ditches, and machine guns firing from the slopes. This is what was on the shore. But our men had to go through a maze nearly as deadly as this before they even got ashore. Underwater obstacles were terrific. The Germans had whole fields of evil devices under the water to catch our boats. Even now, several days after the landing, we have cleared only channels through them and cannot yet approach the whole length of the beach with our ships. Even now some ship or boat hits one of these mines every day and is knocked out of commission. The Germans had masses of those great six-pronged spiders, made of railroad iron and standing shoulder-high, just beneath the surface of the water for our landing craft to run into. They also had huge logs buried in the sand, pointing upward and outward, their tops just below the water. Attached to these logs were mines. In addition to these obstacles they had floating mines offshore, land mines buried in the sand of the beach, and more mines in checkerboard rows in the tall grass beyond the sand. And the enemy had four men on shore for every three men we had approaching the shore. And yet we got on. Beach landings are planned to a schedule that is set far ahead of time. They all have to be timed, in order for everything to mesh and for the following waves of troops to be standing off the beach and ready to land at the right moment. As the landings are planned, some elements of the assault force are to break through quickly, push on inland, and attack the most obvious enemy strong points. 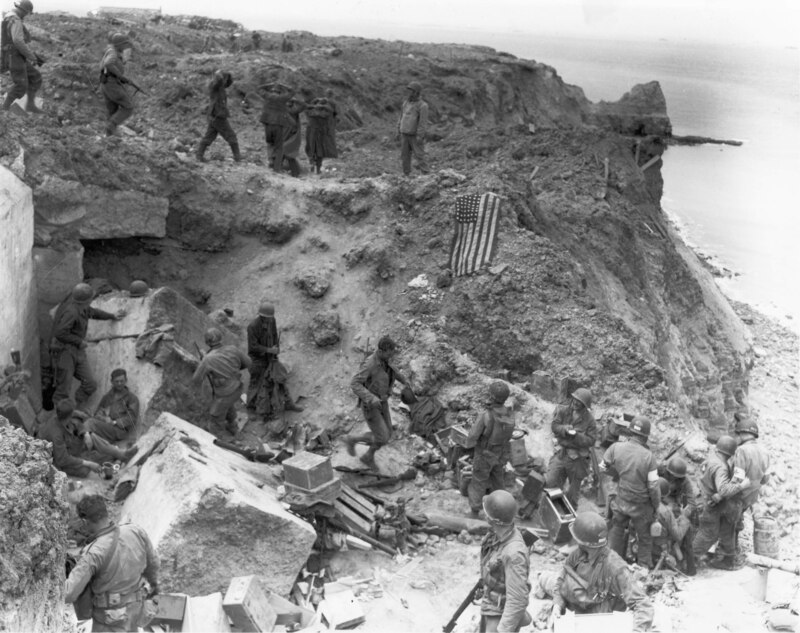 It is usually the plan for units to be inland, attacking gun positions from behind, within a matter of minutes after the first men hit the beach. I have always been amazed at the speed called for in these plans. You’ll have schedules calling for engineers to land at H-hour plus two minutes, and service troops at H-hour plus thirty minutes, and even for press censors to land at H-hour plus seventy-five minutes. But in the attack on this special portion of the beach where I am – the worst we had, incidentally – the schedule didn’t hold. Our men simply could not get past the beach. They were pinned down right on the water’s edge by an inhuman wall of fire from the bluff. Our first waves were on that beach for hours, instead of a few minutes, before they could begin working inland. You can still see the foxholes they dug at the very edge of the water, in the sand and the small, jumbled rocks that form parts of the beach. 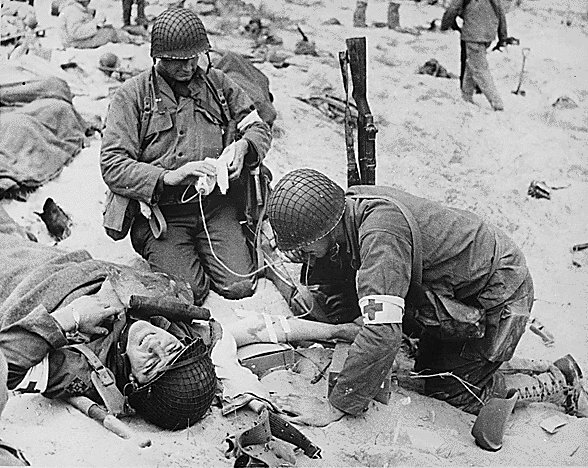 Medical corpsmen attended the wounded as best they could. Men were killed as they stepped out of landing craft. An officer whom I knew got a bullet through the head just as the door of his landing craft was let down. Some men were drowned. The first crack in the beach defenses was finally accomplished by terrific and wonderful naval gunfire, which knocked out the big emplacements. They tell epic stories of destroyers that ran right up into shallow water and had it out point-blank with the big guns in those concrete emplacements ashore. When the heavy fire stopped, our men were organized by their officers and pushed on inland, circling machine-gun nests and taking them from the rear. As one officer said, the only way to take a beach is to face it and keep going. It is costly at first, but it’s the only way. If the men are pinned down on the beach, dug in and out of action, they might as well not be there at all. They hold up the waves behind them, and nothing is being gained. 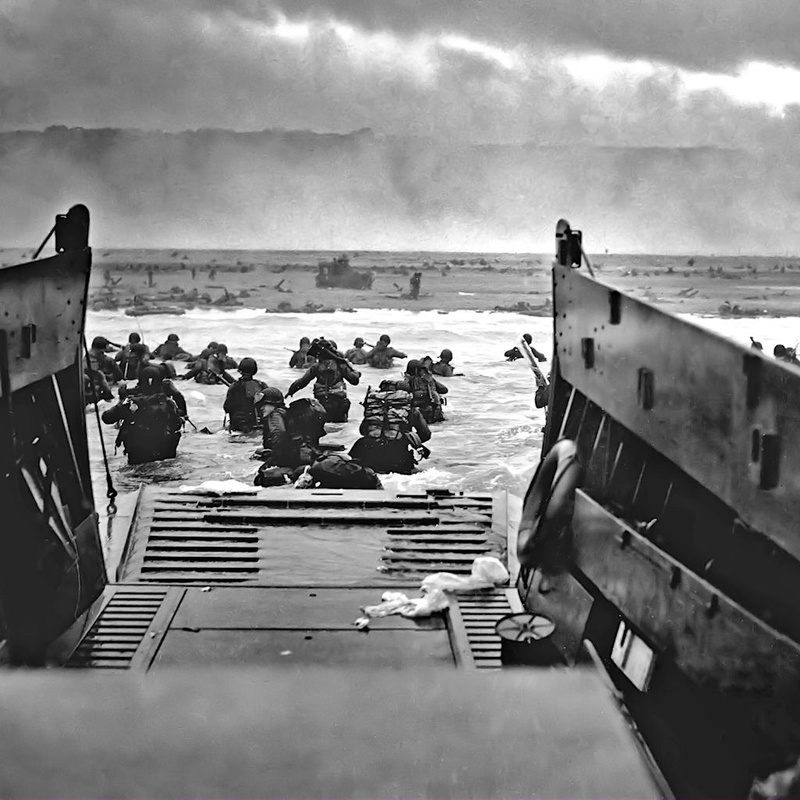 Our men were pinned down for a while, but finally they stood up and went through, and so we took that beach and accomplished our landing. 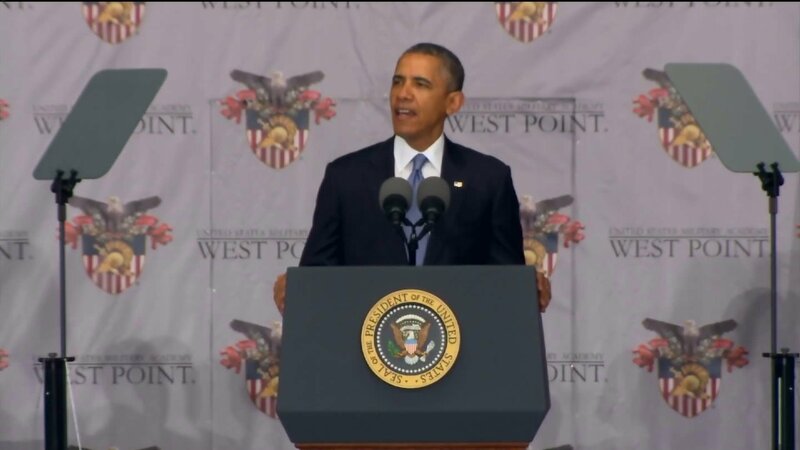 We did it with every advantage on the enemy’s side and every disadvantage on ours. In the light of a couple of days of retrospection, we sit and talk and call it a miracle that our men ever got on at all or were able to stay on. Before long it will be permitted to name the units that did it. Then you will know to whom this glory should go. They suffered casualties. And yet if you take the entire beachhead assault, including other units that had a much easier time, our total casualties in driving this wedge into the continent of Europe were remarkably low – only a fraction, in fact, of what our commanders had been prepared to accept. And these units that were so battered and went through such hell are still, right at this moment, pushing on inland without rest, their spirits high, their egotism in victory almost reaching the smart-alecky stage. Their tails are up. 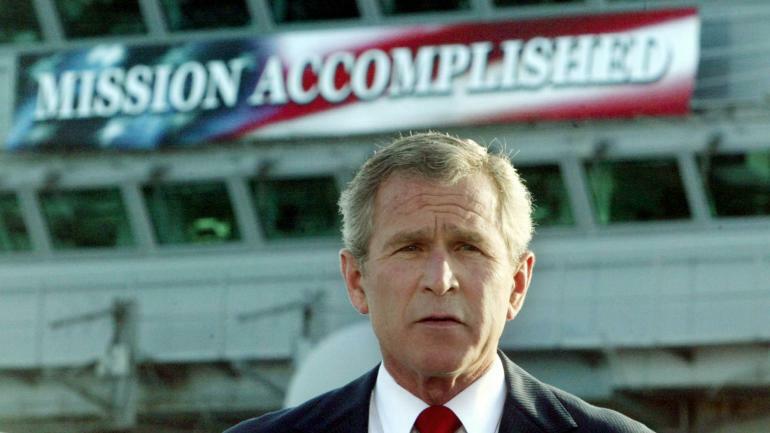 “We’ve done it again,” they say. They figure that the rest of the army isn’t needed at all. Which proves that, while their judgment in this regard is bad, they certainly have the spirit that wins battles and eventually wars. 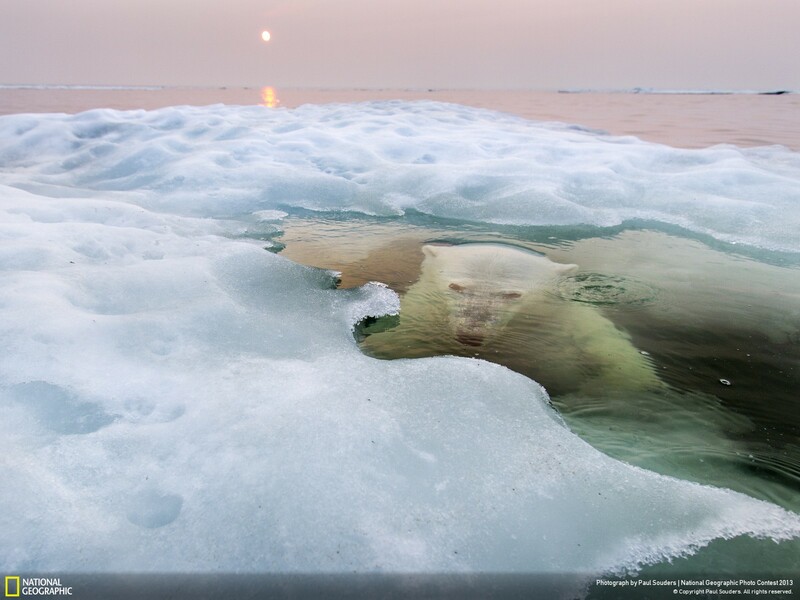 Let’s hope that the world wakes up; starts to take more steps to reduce global warming; and manages to save these magnificent animals. Surely it’s not Downhill from Here…….